Trout fishing is a sport that everyone can try their hand at. You don’t need expensive gear, just a fishing rod, spinning reel, a box of hooks and some type of bait. As the fourth most popular type of fishing in North America, its popularity has been on the rise. If you enjoy cooking as well as fishing, you also have the undeniable advantage of being able to transform your trout into your meal for the evening. Brook trout and rainbow trout are the most popular types of trout that are put in a cooking pot, although lake trout and brown trout also come highly recommended. Just be careful if you’re fishing in a catch-and-release area where by law everything you catch must go back into the sea or lake! Trout are generally found in cold and moving water, as they run up and down creeks or rivers. This makes the sport a very active type of fishing for any angler. What kind of tackle to use when trout fishing widely varies. The main difference is between stocked trout and native trout. Stocked trout are born and bred in hatcheries and farms where they are fed pellets. Lakes or rivers are then stocked with these trout for fishing, and they are susceptible to ‘trout marshmallows’, bait which imitates pellets in shape, texture and smell. However, if you try to use this type of bait to fish native trout born and bred in the wild, they won’t know what to do with the marshmallow on the end of your line. You need to use either a lure, an artificial imitation of a fish’s natural prey, such as grasshoppers, beetles or crickets that fall in rivers, or live bait, which is usually worms, insects, small fish and fish eggs. Keep in mind that if you’re looking to bag a big trout ‒ those over a foot long ‒ cut flies and insects out of their diet completely. There are plenty of places to go fishing for trout all around the world. Tourists who want to go on the best fishing trip of their lifetime really do have plenty to choose from. Australia and New Zealand are prime locations, for instance. New Zealand’s trout fishing is regarded as amongst the best in the world because of the beautiful scenery, the variety of the fly fishing experience and the well-conditioned trophy fish. North America is another prime location for trout fishing, including both Canada and the United States. 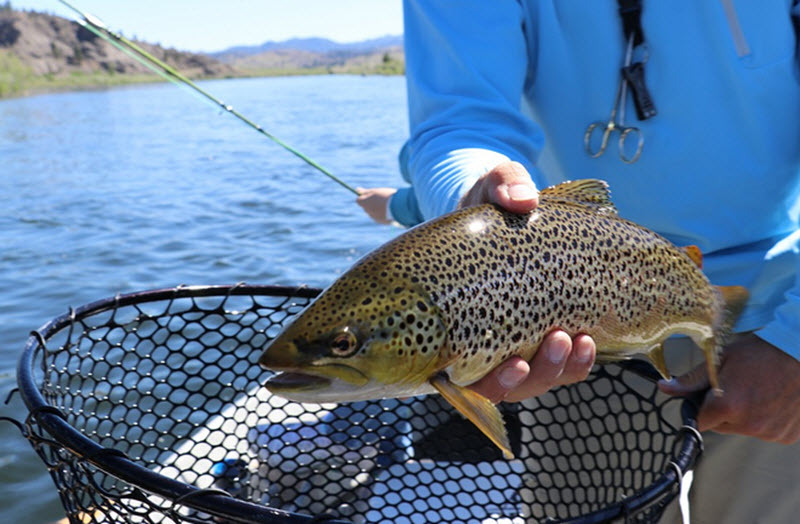 The West Coast is one of the best places to fish for trout because of the wide variety available. Here you’ll find trout of any species, colour and size. Moving to Europe, there are great trout fishing locations in England, Estonia and Iceland. If you’d rather go to South America, look up “Tierra del Fuego”, a beautiful trout fishing location in Argentina. As always, make sure to inquire beforehand about the rules and regulations for trout fishing in the area where you choose to cast your line.